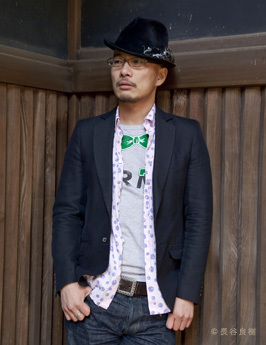 Junpei Shiina was born on August 6, 1974, the Year of the Tiger, and is a native of Saitama Prefecture. His major-label debut came on November 8, 2000 with the release of “Sekai”. He has since released 11 singles and three albums of original songs. He plays live shows in a range of formats, performing solo on his Fender Rhodes, an alter-ego of sorts, appearing in duos and rocking live concert events. In 2008, Junpei assembled a few muscular musicians to form Junpei Shiina & The Soul Force. More is surely in the works for Junpei. Hold on to your hats.